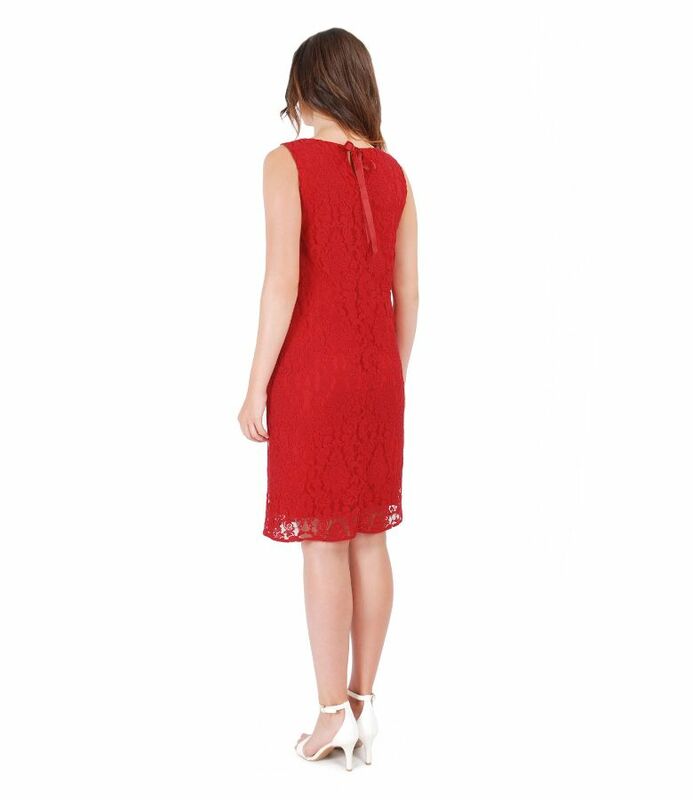 Cotton lace dress, without sleeves, doubled with viscose. Tear back low-cut neck , tight with a satin bow. Have no closing system.